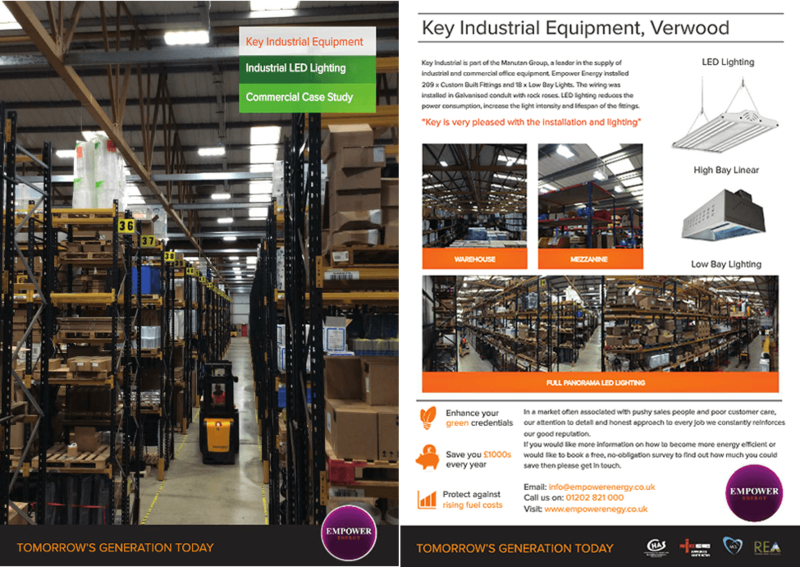 Dorset council are offering grants up to 40% off LED lighting for commercial small and medium sized UK businesses in Dorset. 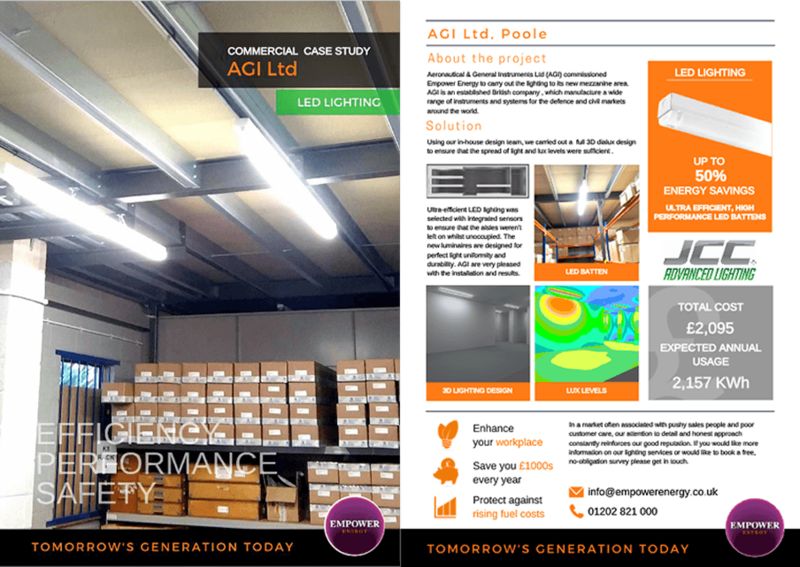 The grant could be used to help install a new lighting system for your warehouse or office buildings. For the last 25 years we have specialised in the design, installation and commissioning of Renewable Energy systems, LED lighting system design and installation, Electrical Inspection & Testing, Battery Storage and EV charge points, De-stratification systems and all Electrical contracting from domestic to Industrial including repair and maintenance in Dorset, Hampshire and surrounding counties. If your company is interested in LED lighting for your business, please fill in our contact form with your contact details and our sales team will contact you shortly to discuss your requirements. 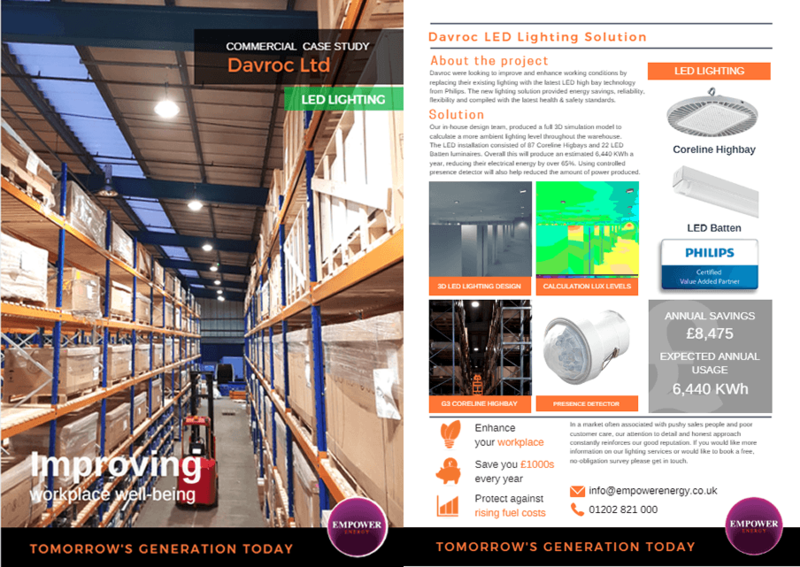 Davroc were looking to improve and enhance working conditions by replacing their existing lighting with the latest LED high bay technology from Philips. 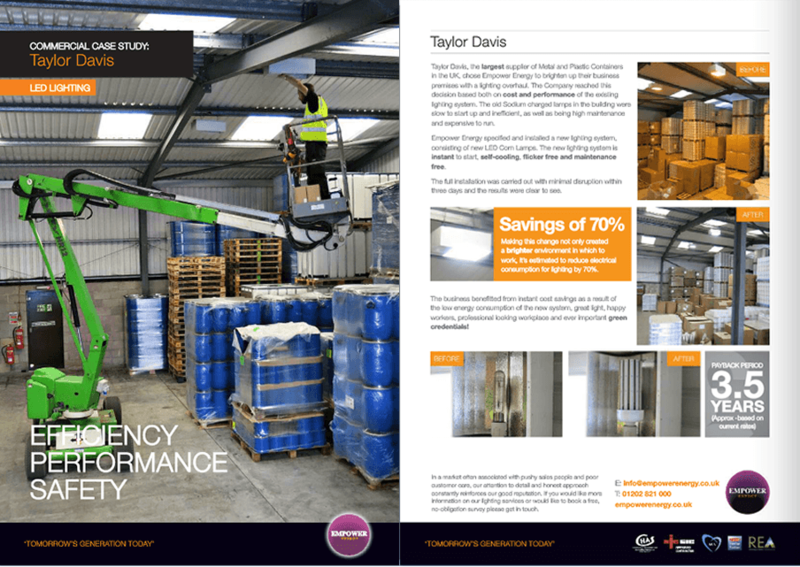 Taylor Davis, the largest supplier of metal and plastic containers in the UK. 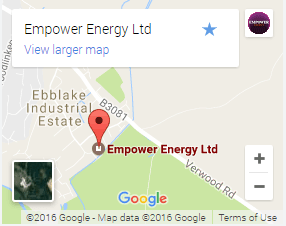 Empower was chosen to brighten up their business premises. A new lighting system consisting of new LED Corn Lamps. The new lighting system is instant to start, self-cooling, flicker and maintenance free. Key Industrial is part of the Manutan Group, a leader in the suppy of industrial and commercial office equipment. Empower installed 209 x custom built fittings and 18 x low bay lights. The wiring was installed in Galvanised condult with rock roses. 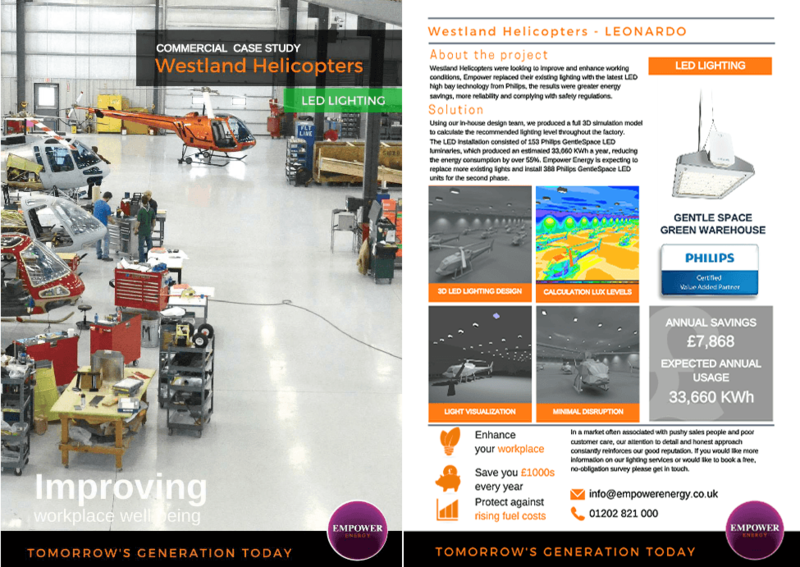 Westland Helicopters were looking to improve and enhance working conditions, Empower replaced their existing lighting with the latest LED high bay technology. Using our in house team, we produced a full 3D simulation model to calculate the recommended lighting level. 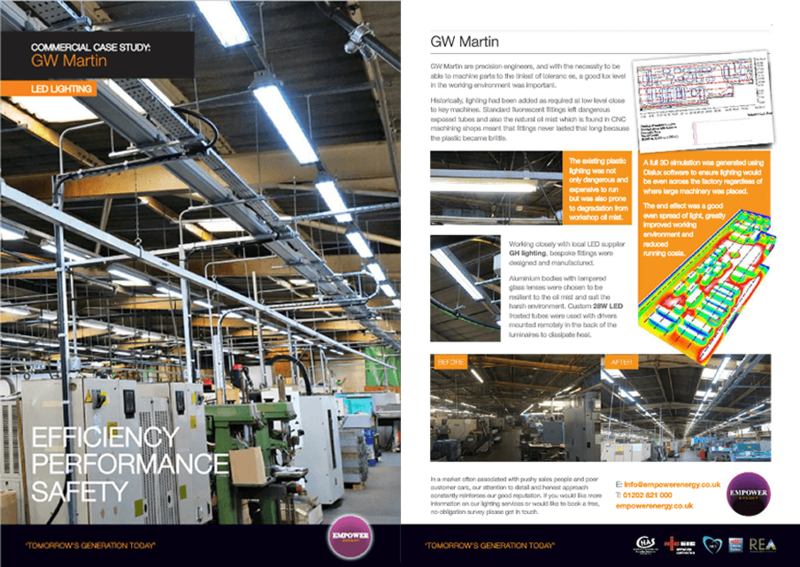 Aeronautical & General Instruments commissioned Empower to carry out the lighting to its new mezzanine area. Using our in-house design team, we carried out a full 3D dialux design to ensure that the spread of light and lux levels were sufficient.